The ASPEN is a brand-new design by Wilcor Homes. 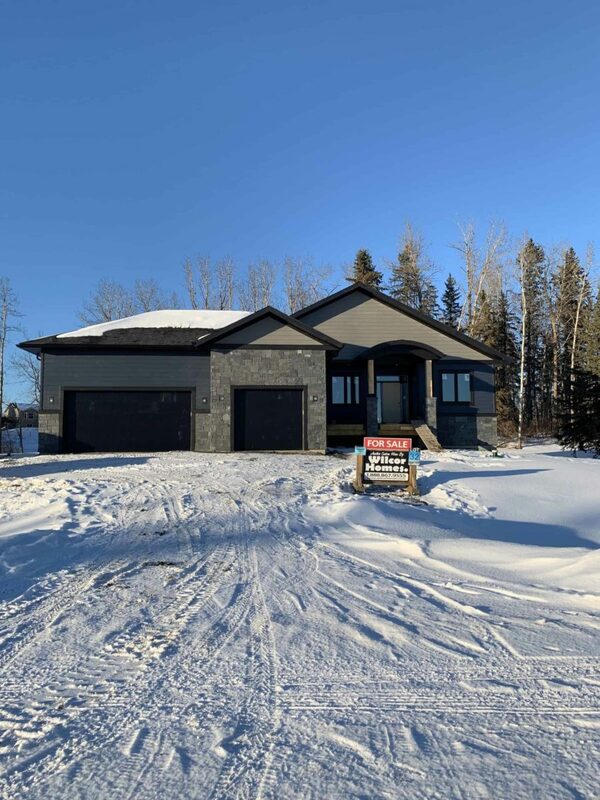 This home is almost complete, and will be Move-in ready end of March! 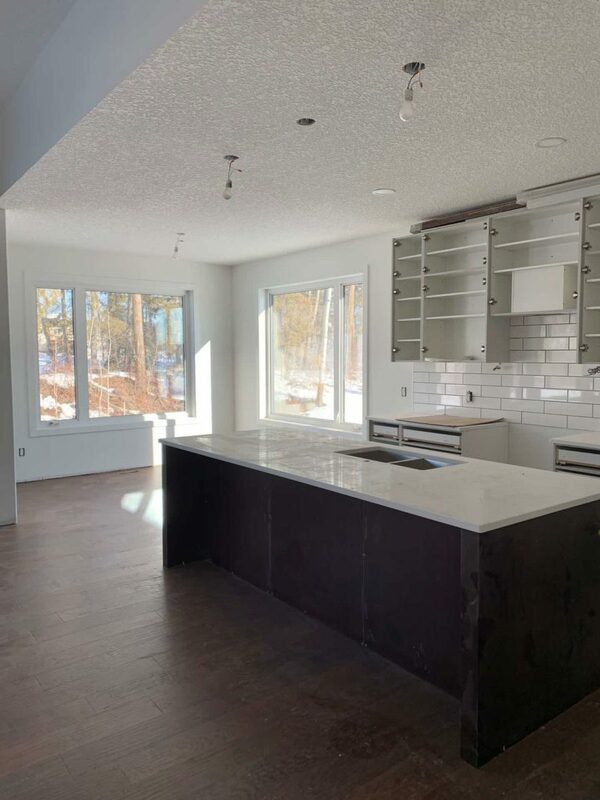 The ASPEN backs onto a beautiful treed ravine, giving the open-plan kitchen, living, and dining areas gorgeous views of mature trees and tons of natural light. 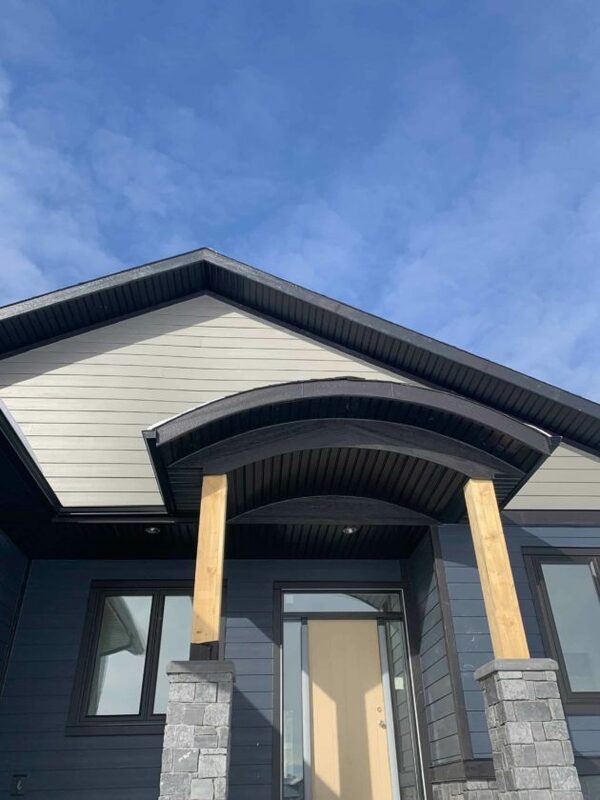 This home is 1575 sq ft. with a fully finished basement, oversized walk-in pantry, black, triple-pane All Weather Windows, a fully finished basement, and triple garage. The garage has very high ceilings, offering the potential of a future lift system. 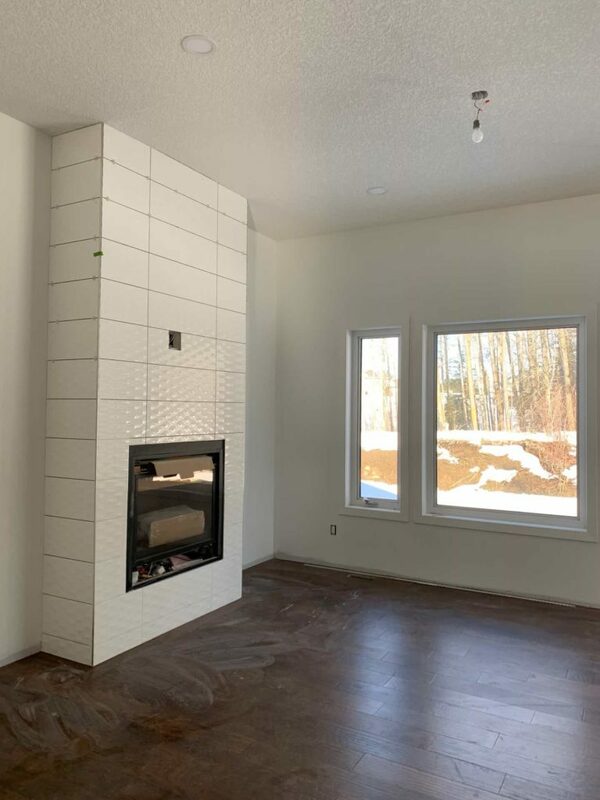 One of our favourite features of the ASPEN this stunning floor-to-ceiling white-tile fireplace. It gives the living space such a sophisticated look and feel. For the exterior, we chose James Hardie siding in Deep Ocean and Pearl Grey. This is the first home at SLR to feature these fantastic new colours. Another feature adding to the curb appeal is the beautiful archway over the entrance. The ASPEN blends exceptional craftsmanship with modern design. Check out a video tour here. Interested in viewing this home BEFORE it goes on the market? Contact Sarah Corker at 1.888.8671055 or scorker@springlakeranch.ca. And be sure to follow us on facebook here and instagram @springlakeranch for the latest updates. We look forward to seeing you soon at SLR!